Detects the dirt that could go missing: Uses optical and acoustic sensors to detect high concentrations of dirt, dust, and pet hair, and then perfroms focused cleaning where it's needed most. Cleans on schedule: Your Roomba vacuuming robot can be preset to vacuum up to seven times per week, meaning your home can stay clean every day. Let's you know when the bin is full: The robot has an indicator to let you know when the bin is getting full and needs to be emptied. You can also view the bin level and status through the iRobot HOME App. 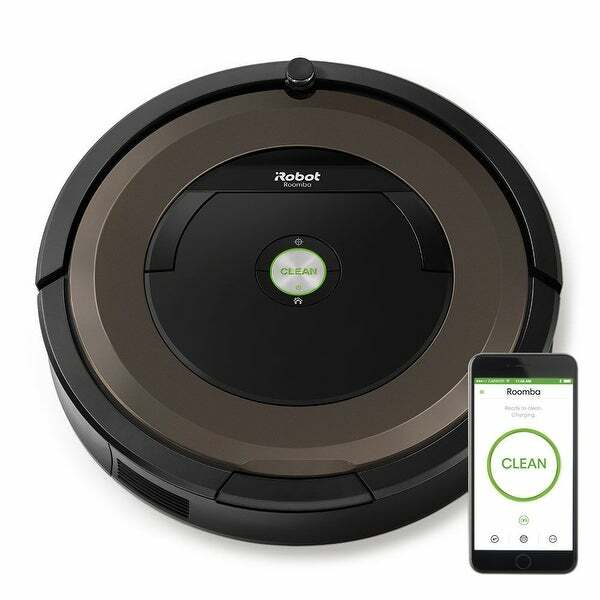 Cleans all floor types: Your Roomba robot automatically adjusts to clean carpets, tile, hardwood, and laminate floors as it moves through your home. Automatically docks and recharges: Your Roomba® vacuuming robot is always ready to clean because it automatically returns to its Home Base charging station between cleaning to recharge. Up to 50% more cleaning performance: The AeroForce 3-Stage Cleaning System uses Debris Extractors and the Gen 2 motor for improved cleaning performance and lower maintenance. Revolutionary cleaning technology: Dual counter-rotating Debris Extractors incorporate a durable rubber tread design that grabs dirt, hair, and large debris from carpets, rugs, and hard floor, while reducing hair tangles and brush maintenace.